Are you wasting time trying to manage your Inbox? Nowadays we all receive way too many emails and spend a lot of time trying to manage them. When you open your email inbox in the morning, the first thing you must do is delete unnecessary messages, without spending too much time on them. If you end up every day deleting emails from the same source without opening them, it’s time to unsubscribe. It’s things you don’t really need and they pile up in your Inbox every day. To make your life easier, take some time to unsubscribe from any newsletter you are not interested in and cancel any notifications coming from Facebook, Twitter and LinkedIn and other sites you subscribed to. If you don’t want to stop these notifications or if you think that once a month you may actually feel like opening a newsletter, then just create a folder and set some rules so these e-mails are directly delivered to these folders and not to Inbox. Then, whenever you feel like it, you can check them out. Does an alert pop up every time you receive a new message? That’s rarely helpful. If instant alerts are pertinent to your job (and you’ll know if they are), leave them alone. Everyone else, however: turn them off permanently! Email alerts are highly distracting. Having a full Inbox all the time can be highly distracting and unproductive. It’s important to understand that the Inbox is just space where you should temporarily store messages, it shouldn’t be a filing cabinet where everything gets tossed without being sorted. Make a little library out of your email client. You can have folders for persons, institutions you’re working with, social media related emails etc. It’s always important that you organize things in a logical way. That will help you save a lot of time when you plan to retrieve a certain email. The “Mark as Unread” option can really change the way you work with emails. You can quickly glance through your inbox and mark unread those items you’d like to come back to once you have the time. This way, you won’t forget about them. Try to end each day with as few items marked unread as possible, with the goal of having none. If you can’t manage that, just start the next day with the emails you marked as unread on the previous day. For many people, the To: and Cc: fields in email have become synonymous. Well, they’re not! Use them to make a distinction between who the email is being sent to and from whom you expect a response from (the To: field); and who is being copied so they have the appropriate context (Cc:). Try to be clear about who you expect to respond. Five people in the To: field will most likely have the unintended consequence of generating five different email responses…and yes, your Inbox will go BOOM!! You may actually even overlook that ONE answer you needed. 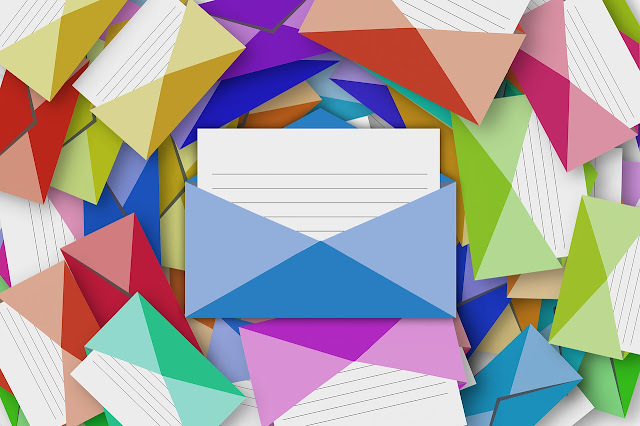 The more people addressed, the more crowded your Inbox is likely to become. You have control over that. These are some of the most valuable Inbox practices I’ve learned over the years. Implementing them every day, helped me stay organized and efficient. Here’ also a good Outlook Organisation Tutorial, for the Microsoft Office Users. If you have other email management tips that work great for you, I’d love it if you took the time to share your experience. Very time saving advice to manage important email. You proved that with a few very simple organizational tricks, you can be more efficient with email. Some of these tips utilize functions found in most email programs, but many of them are ways that you can change your own habits to affect your email workflow. They restructure how you use different email functions, adding a little bit of foresight so that when it comes time to delete and archive messages. You’ve already done much of the hard work. Very Good!